Notes: White rays and yellow disks; numerous flower heads on branches. Perennial with hairy stems, leaves alternate, narrow to 0.25 in. long. 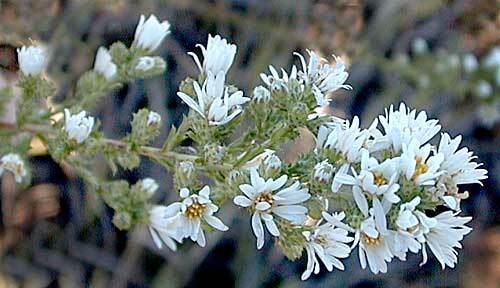 More than a dozen species of Aster in Arizona. Entries for White Prairie Aster in the USDA Plants database can be seen.